Astigmatism is a very common condition that affects the crispness and clarity of your vision. It is caused by an irregular curvature of either the cornea or lens – the two structures of the eye that focus light. A good illustration is this: an eye without astigmatism is round like a basketball, while an eye with astigmatism is shaped like a football, with two distinct curves. If your cornea or lens isn’t smooth and evenly curved, light can’t focus on the correct point. Astigmatism causes blurred or distorted vision at both near and far distances. Corneal astigmatism, the most common type, is the result of an irregularly-shaped cornea. The cornea is the surface of the eye, the part you touch with your contact lens. It is where light first passes through as it makes its way into the eye. Lenticular astigmatism is caused by a distortion in the crystalline lens. The lens sits behind the pupil in the eye to help focus light into the eye. Light passes through the lens to the retina, the optic nerve and, ultimately the brain. Most people are born with at least some degree of astigmatism. However, sometimes it develops after an eye disease, injury or surgery. Importantly, blurred or distorted vision are symptoms of many conditions. Schedule a visit to your ophthalmologist or optometrist for a complete eye exam if you have new or worsening symptoms. In addition to testing for and measuring any astigmatism, your eye doctor will evaluate your vision and eye health. Sphere: Measures your degree of nearsightedness (myopia) or farsightedness (hyperopia). A plus sign indicates you are farsighted. A minus sign means you are nearsighted. The higher the number, the stronger your prescription. Cylinder: This is degree of astigmatism or how irregular the cornea or lens is shaped. It is measured in diopters. Axis: Locates the position of the irregularity on the cornea or the lens. Axis is measured in degrees of an arc, like the curve of your eye, from 0 to 180. 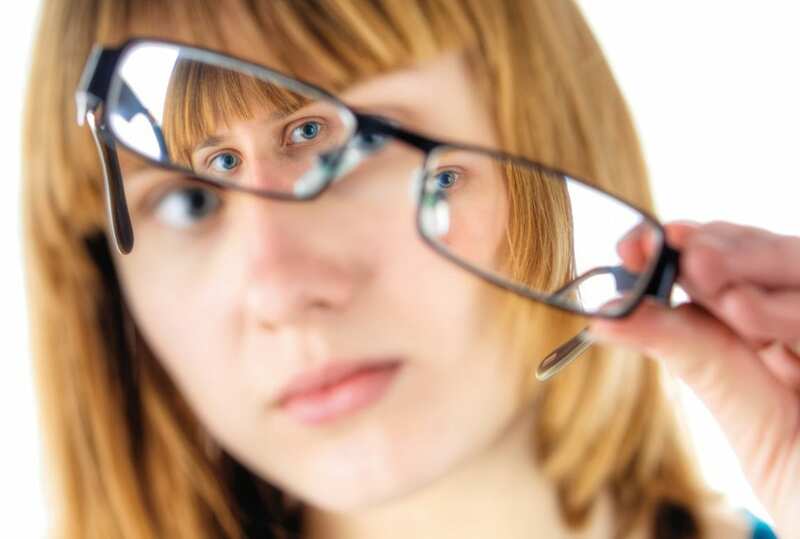 In addition to blurry vision, symptoms of astigmatism include eyestrain and headaches. These are likely due to squinting and straining to try to see clearly. Be sure to share any symptoms with your eye doctor as part of the complete evaluation of your vision. Now that you know what astigmatism is, the next logical question is: What do I do about it? It is a common misconception that astigmatism can only be treated with prescription glasses or contact lenses. The good news is for those who don’t want to rely on glasses and contacts to see well, vision correction procedures such as LASIK can help. Today’s LASIK treats not only nearsightedness and farsightedness, but astigmatism as well. Consequently, a thorough evaluation by a highly-qualified surgeon is the best way to determine if LASIK is right for you.